Goldendoodles and mini Goldendoodles are a mix of a Poodle (or mini Poodle) with a Golden Retriever. 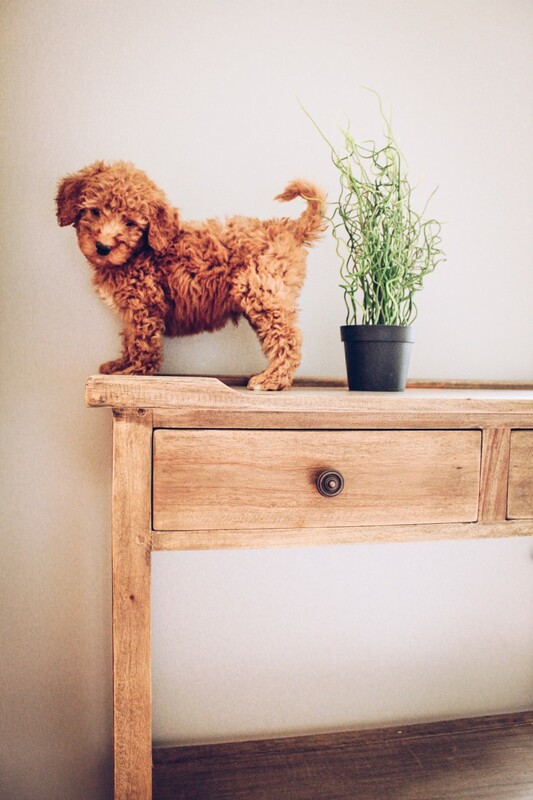 Mini Goldendoodles are friendly companions that get along with everyone. 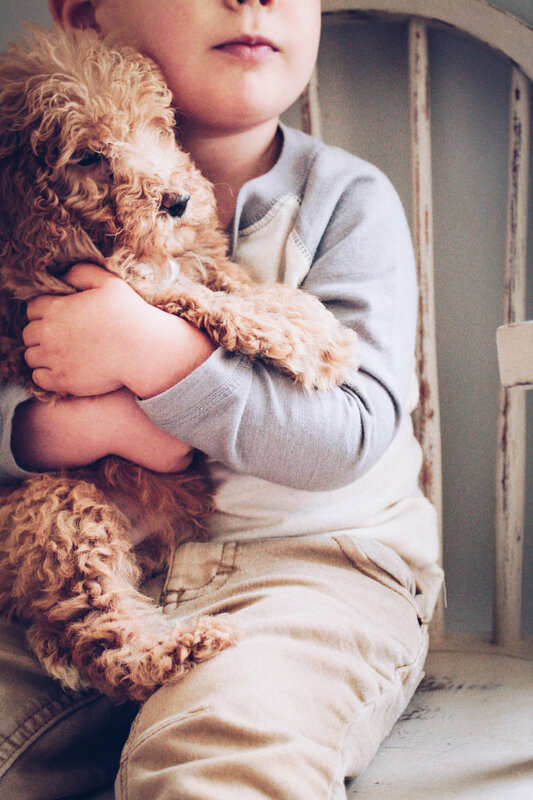 Because of their temperament, mini goldendoodles usually get along very well with children and other family pets. 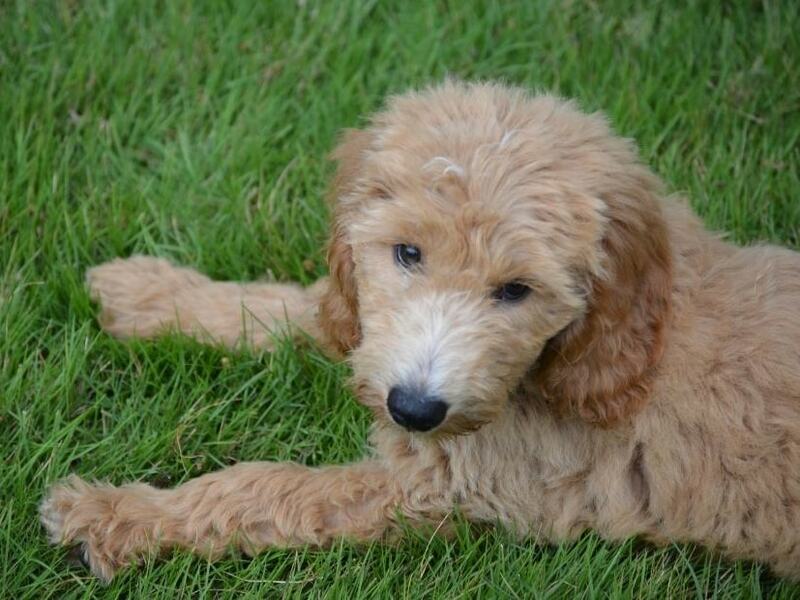 Goldendoodles are friendly, outgoing, intelligent, and can be highly obedient with proper training. At Crockett Doodles, we specialize in F1b Goldendoodles and mini Goldendoodles—first-generation Goldendoodles that are bred back to a poodle. 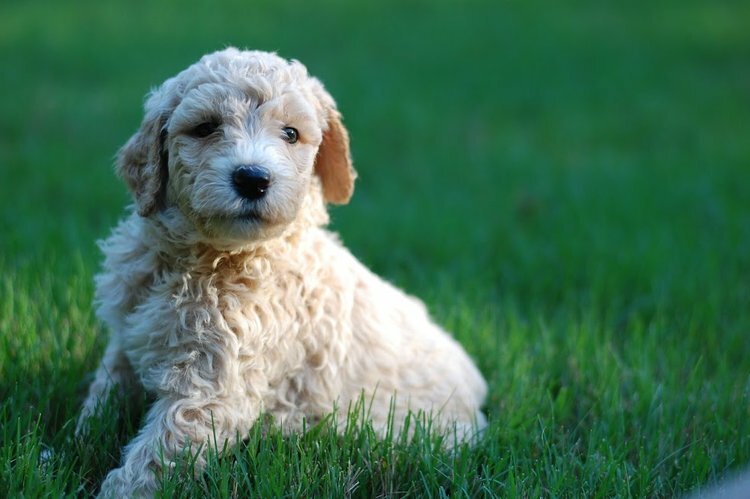 Breeding a first generation Goldendoodle (or mini Goldendoodle) back to a a standard Poodle or mini Poodle ensures a higher probability of a non-shedding coat, which are especially good for families with allergies. To read more about the f-factor, check out our article: Why a f1b Doodle? 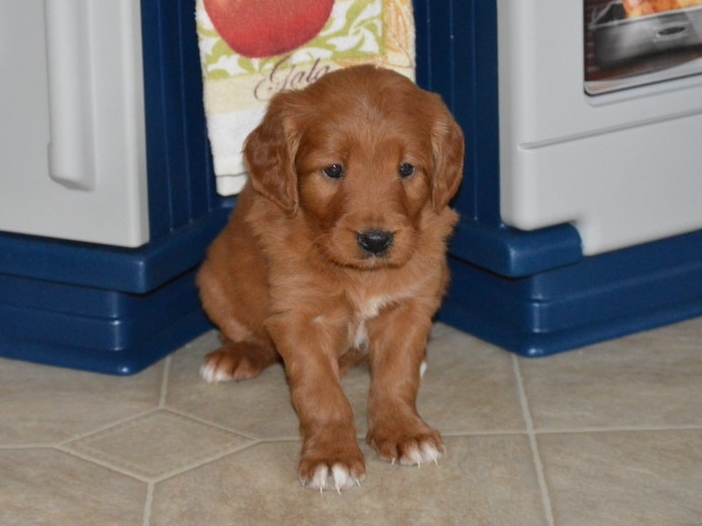 Crockett Doodles wants to ensure that families are paired up with a doodle puppy that is a good fit for them. If you need help distinguishing the characteristics between a Goldendoodle and a Labradoodle, see Goldendoodles vs. Labradoodles. 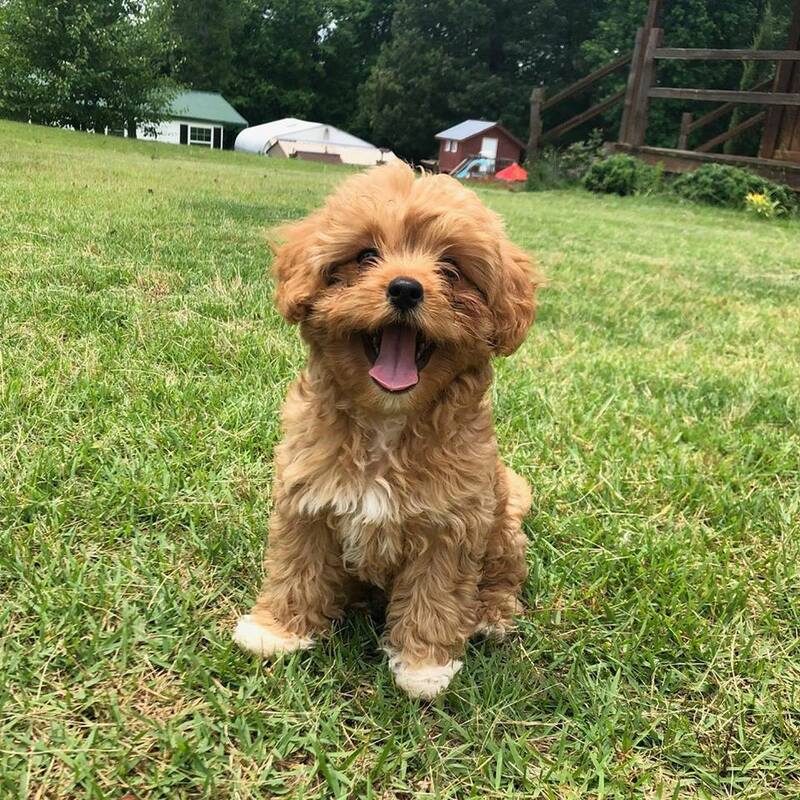 + $200 Traditional Mini Goldendoodle (25-40 pounds full grown) when breeders initially started mini Goldendoodles, the goal was to get them half the size of a standard Goldendoodle. Standard Goldendoodles can often be 80-90 pounds; so early "mini" Goldendoodles were often 30-40 pounds full grown; we call this size "traditional mini." 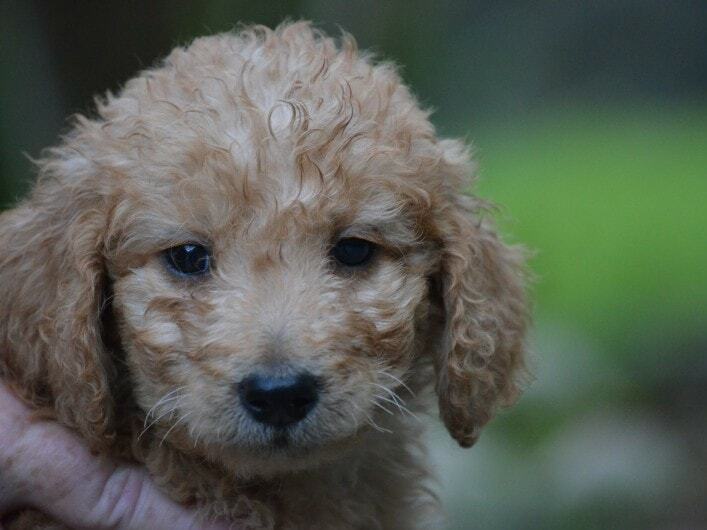 Goldendoodle and mini Goldendoodle puppy colors include English cream, caramel, apricot, red, black, and tan. Depending on the parents, doodle puppies can have special markings, tri-color markings or merle colors. Our most popular Goldendoodle coat types include curly, wavy, and straight. F1 Golden doodles typically have straight to wavy coats, whereas F1b Golden doodles end up on the curlier side of the spectrum. 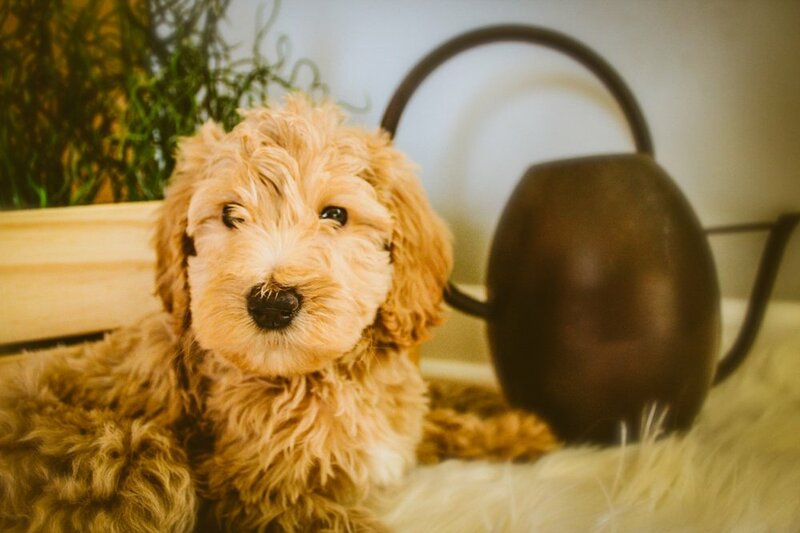 Apply today for a chance to be selected for a future Goldendoodle or mini Goldendoodle puppy from Crockett Doodles!